Take a look at KELT's 2017 Annual report - an overview of the land trust’s annual achievements and successes. You can also contact the KELT office, 207-442-8400, to receive a copy by mail. Increase conserved lands in high priority areas throughout the Kennebec Estuary. Take care of KELT’s conserved lands and act as a steward of the greater land and water resources of the Estuary. Help people of all ages discover the wonders of the Kennebec Estuary and inspire the next generation of conservationists. Strengthen KELT’s reputation as the go-to organization for land conservation, restoration, water quality, environmental education and sustainability of the Estuary’s natural resources. Build financial and organizational capacity to meet the goals of the strategic plan and sustain the mission. Guided by our new Strategic Plan, encouraged by the support and engagement of our community, and fueled by tremendous opportunities, our land trust is poised to accomplish greater conservation and restoration of the Estuary’s most valuable places. The Strategic Plan was beautifully designed by KELT volunteer, Amy Kerr. Thank you! Representing a link between Gulf of Maine waters and those draining nearly 8,000 square miles of uplands in Maine and New Hampshire, the Kennebec Estuary is at once a unique assemblage of ecological attributes, a resource of economic, cultural, and social value, and a region of historical significance. The complex interactions among the many components of this system—including those linking people with the environmental goods and services they have historically desired, expected, and needed—have made successful stewardship of the estuary especially challenging. Commissioned by KELT, this 100 page report was made possible with support by the Merrymeeting Bay Trust and Biological Conservation. The report was researched and written by Slade Moore of Biological Conservation and Jaret Reblin of Bowdoin College, and completed in 2010. It is available as PDF files by chapter. 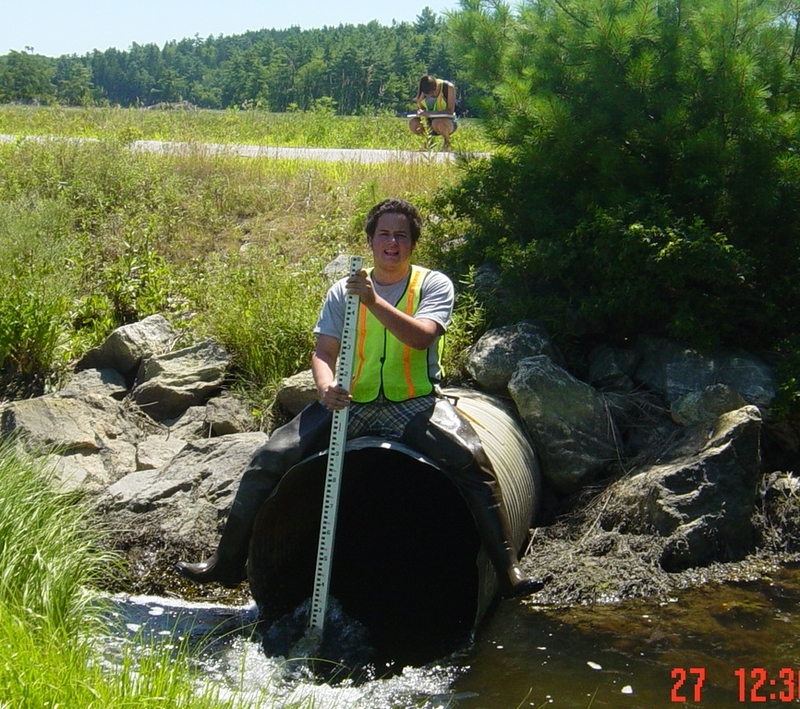 The Kennebec Barrier Survey was organized in 2010 to survey barriers to fish passage such as culverts in the lower Kennebec River watershed as part of the statewide effort to inventory fish passage barriers and to prioritize fish and habitat restoration projects. (3) Initiate action to pursue restoration projects. The first phase of implementation is underway through KELT’s participation in the restoration of the fish ladder at Nequasset Brook. Because of the active stakeholder base and amount of suitable alewife habitat above this site, the ladder at Nequasset Dam was selected as the #1 priority for improvement. Fisheries experts estimate that with proper management and improved passage, this site can support 400,000 fish. Realizing the importance of local farms to the health of the local environment and local residents – both the people and the wildlife – the Brunswick-Topsham Land Trust and the Kennebec Estuary Land Trust have partnered to create Local Farms-Local Food, a regional initiative to enhance farmland protection and raise awareness of local food production. The BTLT and KELT have formed a strong regional partnership to enhance the local food economy, raise awareness of the benefits of local food, and increase farmland conservation in the southern Midcoast region.